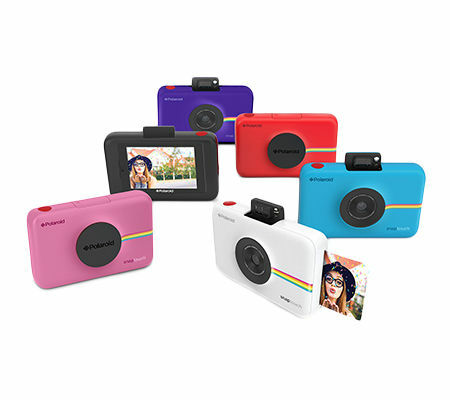 Polaroid Pop instant digital camera is the latest portable classic style camera for capturing ideal favorite moments in the 3.5×4.25″ Polaroid border format. 3.97″ touchscreen LCD for framing shots and navigating. 20-megapixel CMOS sensor and dual LED flash. 1080p Full HD video recording capability. Built-in dual LED flash for high-quality images, image stabilization. MicroSD card slot to support up to 128GB of storage. uses the revolutionary ink-free Zero Ink® Printing technology developed by ZINK. FREE download of the Polaroid Print App for iOS& Android. Polaroid Pop instant digital camera produces a full-color, high quality, long-lasting and smudge-proof images without ink cartridges, ribbons or toner. shop now on Amazon for as little as $171.89 with a free shipping. Snapchat Spectacles: Capture an Impressive 10-seconds video moment.